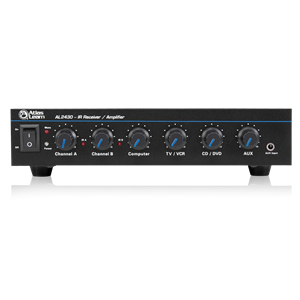 Classroom audio amplifiers & infrared receivers to update or build your own system. 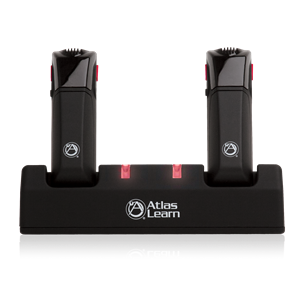 The Atlas Learn system is an in-classroom sound reinforcement solution designed for use in K-12 and higher education facilities or where a room constrained public address system is required. 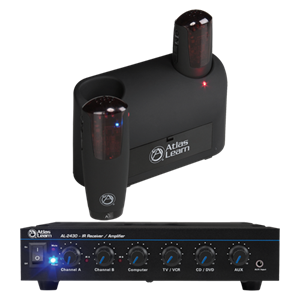 Atlas Learn solutions include amplifiers/receivers, wireless microphones, docking stations, and related accessories that are designed to allow teachers and students to walk freely around the classroom. 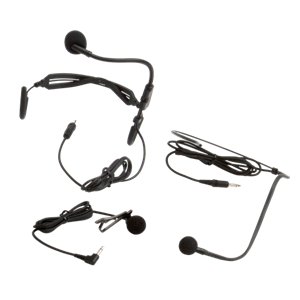 The infrared microphones connected to the amplifier/receiver allow them to project their voices through installed speakers allowing everyone in the classroom to hear clearly. Classrooms equipped with sound reinforcement solutions benefit teachers, students, and the education system as a whole. With even sound distribution, lessons are easily heard no matter where students are seated. Attention and concentration are raised, especially in the back of the room. Teachers no longer strain their voices and the system can easily integrate with existing in-classroom multimedia teaching tools such as computers and DVD players for a single source audio control. The Atlas Learn system additionally provides priority paging and emergency notification capabilities that fulfill the needs of any education facility.